Back in 1996 two friends created short shows they preformed on stages around countless theaters. These were seen as very gruesome towards audiences and only gained cult success. These snippets of scenes that were set in the 21st century were later molded and shaped into what is now a stage play and movie/musical. 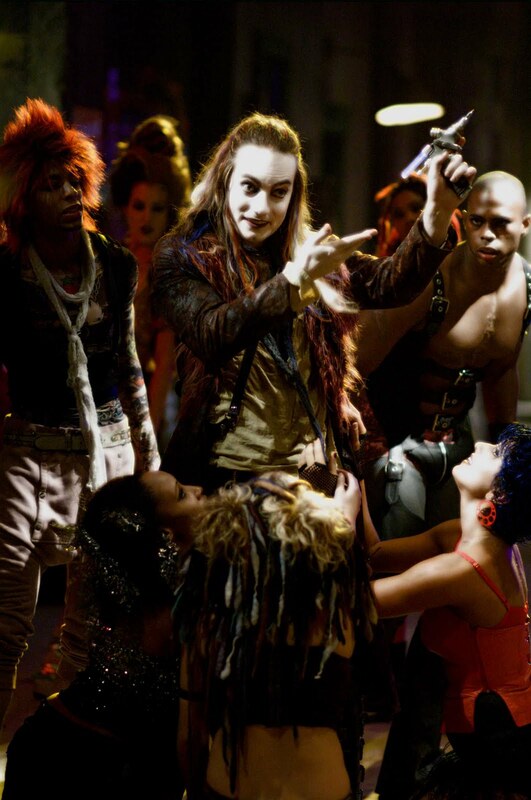 This stage play/musical film was named Repo! The Genetic Opera. Repo! Is the story of a seventeen old girl, named Shilo who is born with a blood disease. She is born into a time when bodies of the deceased are growing rapidly, surgery is a fashion statement and a world wide corporation named GenCo is legalizing the selling and repossession of organs and hiring a league of “Repo Men” with the job of physically removing the organs of customers holding debt. There is also a street drug named “Zydrate” (which glows blue!) which is taken from bodies of the deceased used as the black market version of the surgery drug, which is highly addictive. The title of this wonderful musical sound’s as if it’s filled with opera music but actually it is classified as “Rock horror”, with just that little touch of opera. The world of Repo is basically a very dark and Gothic place (A large majority of the movie is held in a graveyard!). You could watch the movie and attempt to jot down the types of Goth fashion and end up with many more than you would expect. Some styles could include Victorian, fetish, cyber and many more. These styles are combined greatly to include more than one style in each character. The grave robber is a great example of this as he is a mixture of quite a few! Here’s The Graverobber singing about Zydrate to his lovely group of drug addicts. Next Post Outfit Post: Victorian student! Sarah, Repo! is an opera. XD It's not a musical, since it contains very few speaking parts. The style of singing has nothing to do with it. "Operatically" or "classically" is the type of singing used in classical Italian or German opera, but for something to be an opera, it doesn't have to contain this kind of singing….it just has to have mainly singing and little to no spoken lines.